Marco Massarutto, the licensing manager of Kunos Simulazioni announced that they are now laser scanning the Spanish Circuit de Barcelona-Catalunya to become part of the Assetto Corsa Simulator. We feel confident that the Circuit de Barcelona-Catalunya will be a popular addition to the already comprehensive list of tracks featured in Assetto Corsa. Situated just outside Barcelona, the Circuit de Barcelona-Catalunya was built in 1991 to become the host of the Spanish Formula One Grand Prix. The circuit is 4.655 km long and has 16 turns. 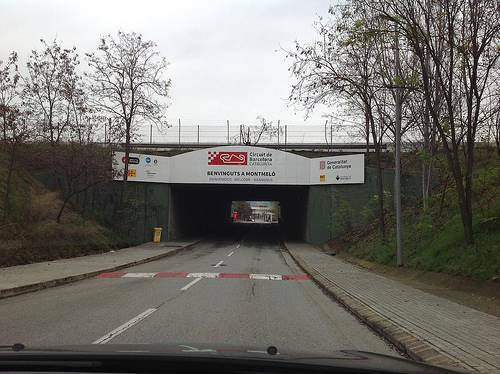 These days the track is most known for its Spanish Formula 1 Grand Prix and the Catalan MotoGP Grand Prix. During the off season, the track is also often used as a testing facility.